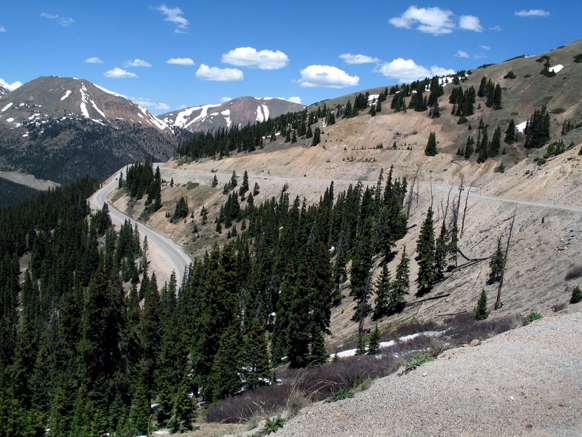 The triple Bypass is considered to be one of the most challenging one-day bicycle events in Colorado. Covering 120 miles and 10,000+ feet of elevation gain. Ride options now include an east to west, west to east, and a double triple route - taking on both directions in two days. Rest prior to the event (according to your training schedule), ride the day before. Ride very steady on event day, especially up Squaw Pass in the early morning. 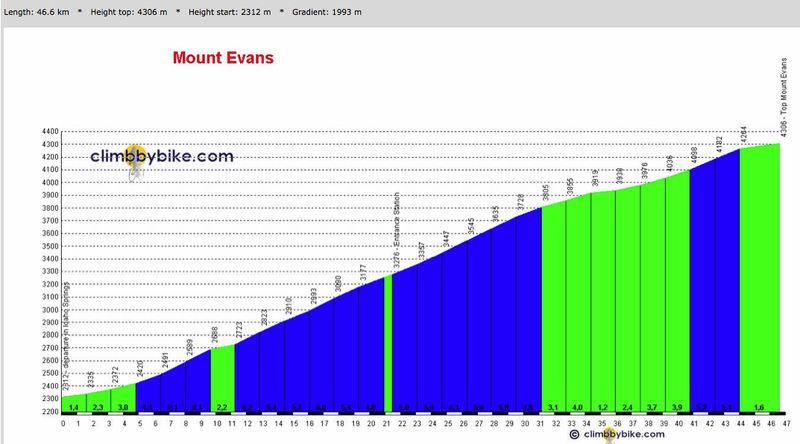 Get a good rain jacket, expect to use knee warmers, and arm warmers, maybe a cap. If it is raining wear long finger gloves. Try to avoid sweating a lot when climbing, to avoid getting chilled on the downhills. 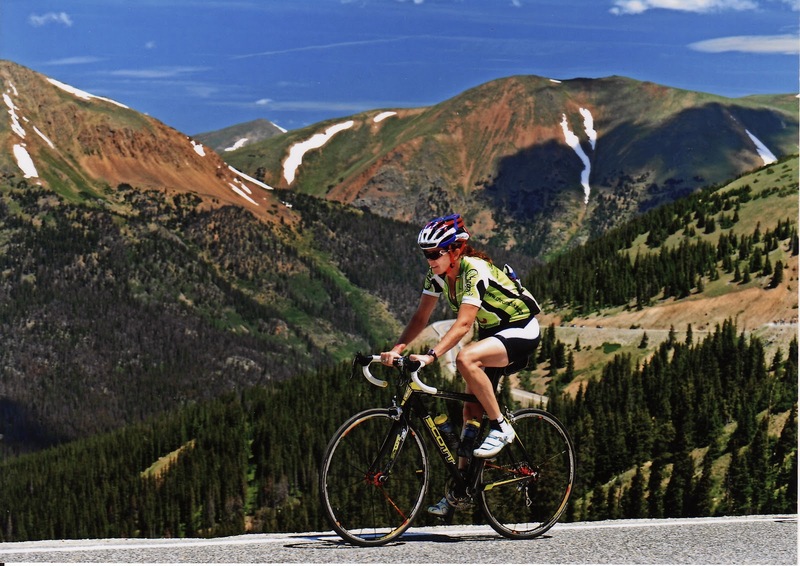 Keep rotating the pedals even on the long downhills to keep the blood moving in your legs. Get used to riding without music. Do not stop for long breaks, keep moving along, the weather might catch up with you later. 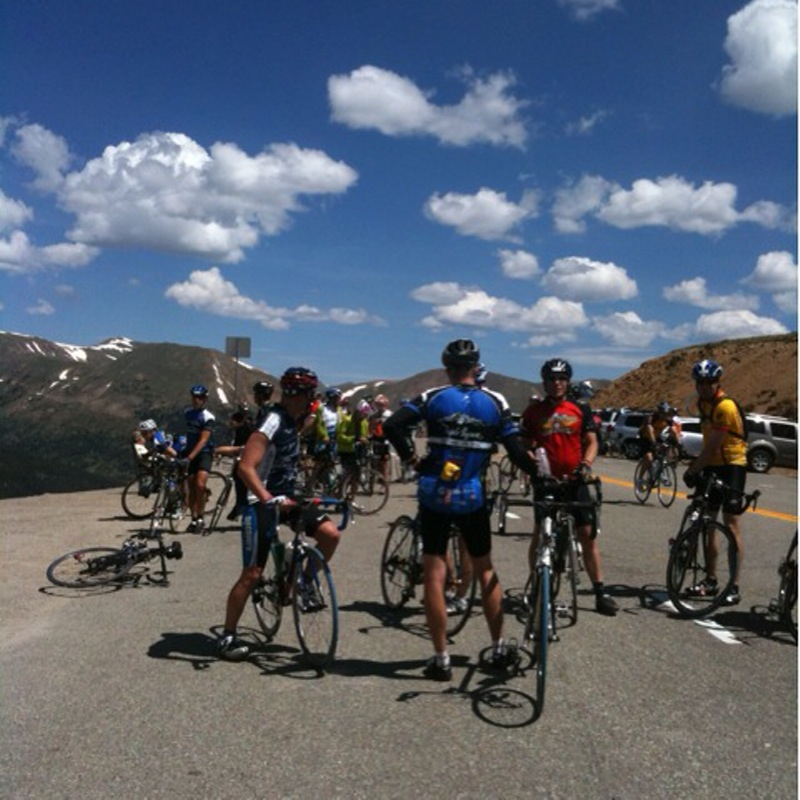 Eat within the first 35-45 minutes of the ride, and continuously through the day, every 15 minutes. Personally I do not carry 2 full water bottles, I do use 2 bottles, but they are not always full. 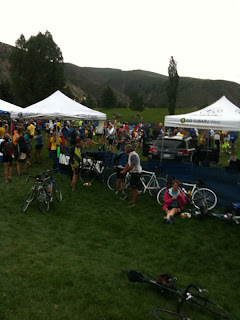 I study the course and plan since there are so many aid stations. Use the aid stations, but move through them quickly. I carry my own electrolyte drink powder inside small baggies to add to additional bottles of water. This is not the day to experiment. The standard is 1 bottle of water every 45 minutes, more if it is hot. If it is cold force fluids. You are still sweating, still blowing off Co2 and getting dehydrated. I keep my food open in my pocket and eat while I ride, I do not only eat at aid stations. I break bars into small pieces and put them in baggies so I can reach in and chew on a small piece. Don't psych yourself out when the climb appears hard, it is not, you can do it. Maintain your straight line while riding. Expect to be both hot and cold during the course of the day. Bring ID, money and a phone. Be nice to the volunteers. Don't stress, stay steady and positive to save energy. It is an amazing feeling to see the finish line. After arrival eat as soon as you step off the bike, eat carbs and protein immediately. Rest shower, and then walk to dinner. Getting your heart moving again will actually aid in recovery for the next day. Eat something for dinner that you would "normally eat". Try to get to sleep early, even if you are restless at altitude, lay still and rest your body. Get all your gear ready the night before (and check your tires) so you will be ready to go in the morning. Transportation: Information provided on the Team Evergreen link at 2011 Triple Bypass Lodging & Bus Transportation Information.Bus Transportation: Transportation to and from the Start(Evergreen, CO) and Finish Line (Avon, CO) will be available at $70 per person and includes one bike and one bag. Transportation will be available for purchase beginning in May. Triple Bypass Bus Transportation Schedule: Saturday: Avon, CO to Evergreen, CO 5:00 p.m. and 8:00 p.m.; Sunday: Evergreen, CO to Avon, CO5:00 p.m. an 8:00 p.m.
Transportation Tips:In years past the event organizers have offered bus transportation for riders returning to the start area it cost around $90++ one-way in 2009). Bikes were loaded into trucks. Honestly, most participants arrange for personal transportation back home. This entails asking a relative or friend to be your shuttle service. In 2009 I drove my car to the start area in Bergen Park (Evergreen), it is about 10 minutes off of I-25, so I was able to easily pick up the car upon return to Denver. I parked the car and started riding. I asked a friend to pick me up in Avon at 3:00pm. 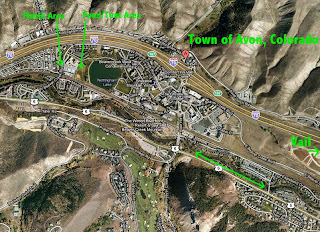 Avon is less than a 2-hour drive from Denver, CO. This allowed me time to arrive into Avon and eat after the ride. I met my ride at the recreation center in Avon where they had a fresh bag of clothes for me so I could change before the long drive back home. (please see the map below). It worked out very well having personal transportation back home. It also worked out well because one of the guys ended up having hamstring trouble, was unable to complete the ride, and needed the car to pick him up en route. The event offers official sag support, but he was much happier not hanging around in his kit for hours. Although personal sag support cannot follow the exact route of the riders, there are key points along the route where it would be great to have a support car to unload or load up on dry clothing, especially in harsh weather. Of course this depends on having a friend willing to devote the entire day to sag support. *Vail, Colorado is 18 miles east of Avon. 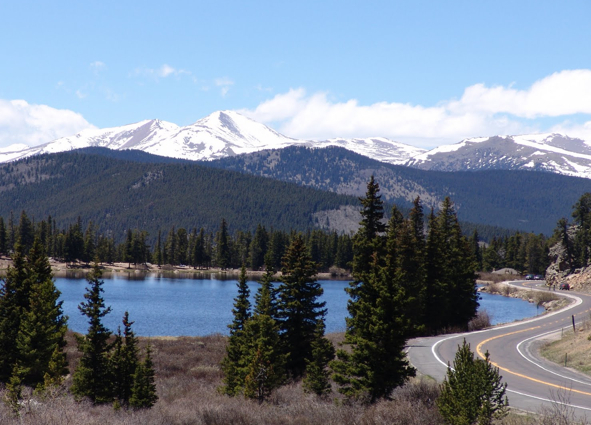 Edwards, Colorado is 4.4 miles west from Avon and a better choice for accommodation than Vail. But try for Avon first. For the 500 individuals signed up for the Double Triple Bypass, you will need overnight accommodation in Avon, Colorado or Edwards, CO (if you are alone with your bike). 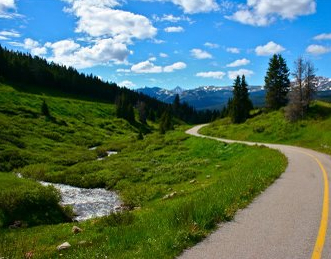 Vail or even Frisco are an option if you have car transportation). 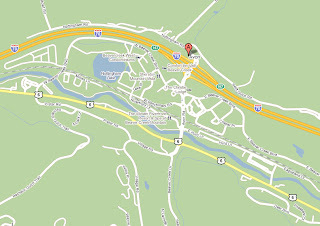 Note that Beaver Creek ski resort is UP THE HILL from the town of Avon, CO.
Also remember that Avon is at altitude, so that means you will be "sleeping high," not the best for rest and recovery for the next day's ride, so be sure to limit your moving around as much as possible to allow for recovery to get out and do it all over again the next day. Try to walk or ride to dinner to get a a little exercise in, it will actually help with your recovery. I am not certain what sort of service they will be offering (or if) for bag transport for Double Triple Bypass riders. 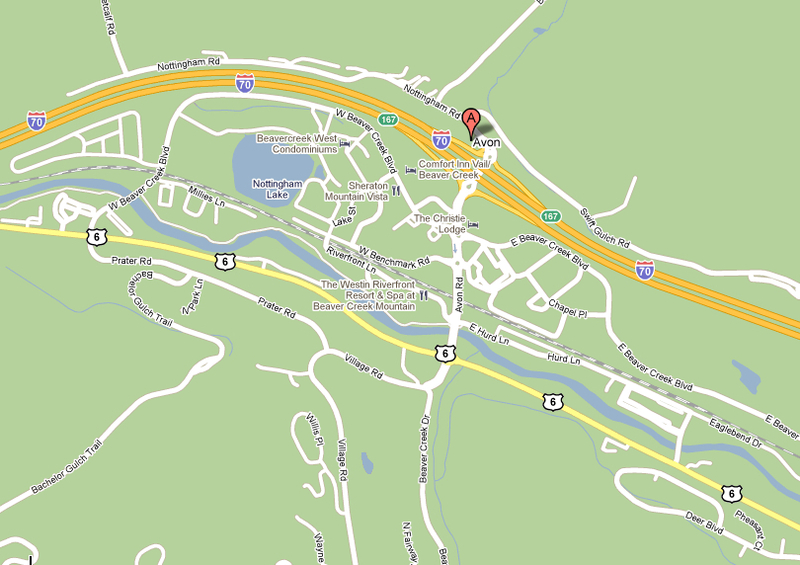 I plan to ask the pick-up driver of a friend whose is doing the East to West route to drop my bag at my hotel in Avon. I'm not sure how to get the bag back to Denver, but chances are I'll find someone who will pick it up, or the Triple Bypass Organizers will have a bag transport truck. 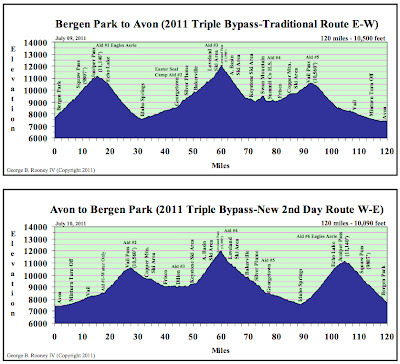 The Double Triple Bypass profile map - 240 miles, 20,000 miles climbing in 2 days.